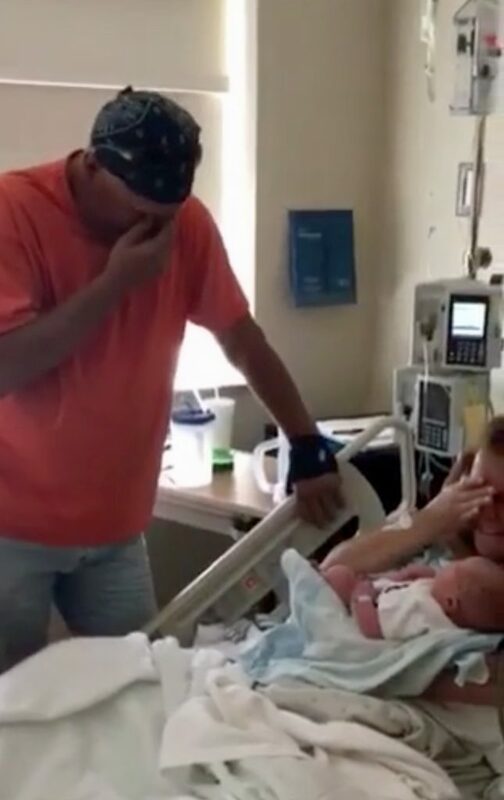 This is the adorable moment a grandpa finds out his newest grandchild is actually a boy, after several generations of being the only male in the family. 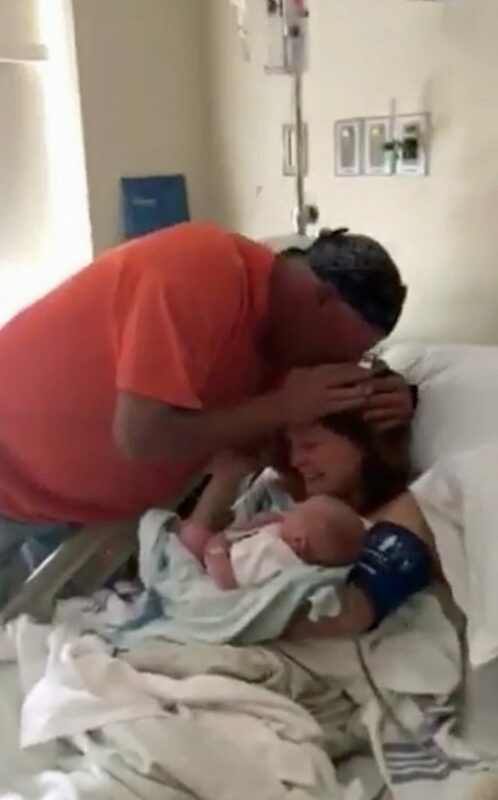 Meeting his third grandchild for the first time in Breese, Illinois, USA, James Patrick is about to receive an unforgettable gift on the morning of his 49th birthday. After having two sisters, four daughters and two granddaughters, James was resigned to being the only man in the family, after he had been told he was walking in to meet yet another girl, his third granddaughter. Baffled at first, James soon shouted, “no way,” as the penny finally dropped, before calling all of his family ‘brats’ as he wiped away his tears. Carie, relieved to finally have the nine-month-long secret out in the open, said: “Dad has been the only boy in a longline of girls, so when we found out the baby’s gender at 20 weeks, we knew we had to keep it from him. “The problem was our daughter, who is four, already knew so we had to talk her in to keeping it a secret. “Most of my friends and family knew, it was only Dad that didn’t, which was incredible hard at times. “He was thrilled for another grandbaby either way, but the way he found out that it was a boy and on his birthday as well, that was just the best. “I just can’t believe we managed to pull it off. “My dad is still in disbelief with it all, but he absolutely loves baby Landry James.